"December 22, 2012: We were celebrating our 5 year anniversary, he took me to Alki Beach and with the Seattle skyline in the back he attempted to get on one knee, but my hair got stuck in his jacket! Once I got my hair unstuck he tried to open the ring box but couldn't see because it was so dark. He said, "They make this look easy on TV," then finally asked." 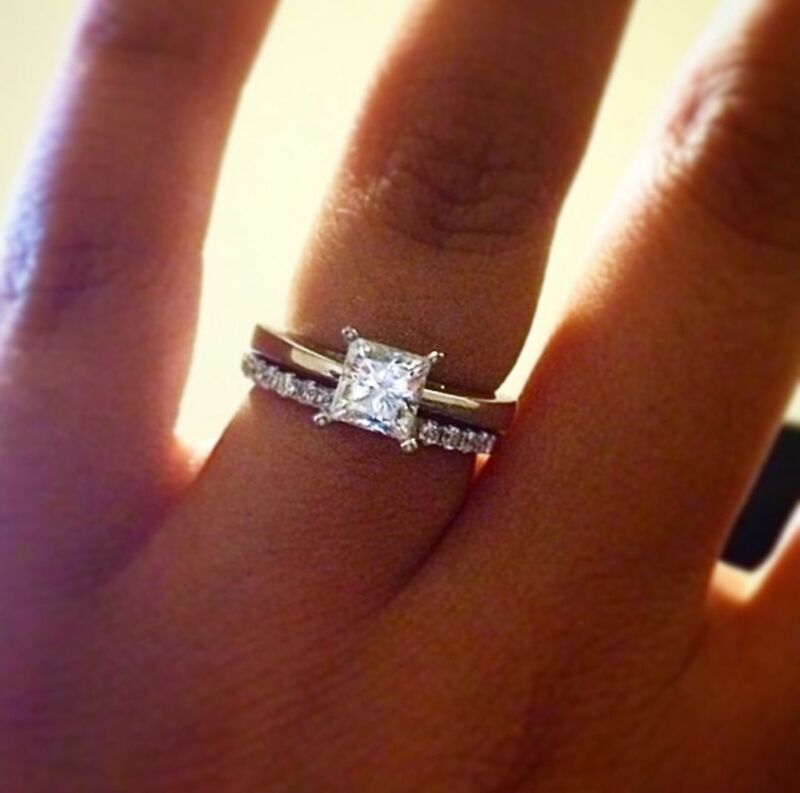 Want to see your Real Proposal on our blog and Instagram? Email a photo of your engagement ring and two to three sentences describing that perfect moment to realproposals@seattlemet.com. Each week, we will select our favorites to share with our followers.